ALOHA from me in Waikiki ! .. an aerial view of the south east edge of Oahu. 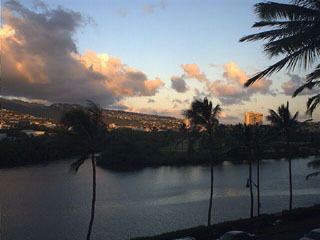 ..the sky outside my lanai (porch). 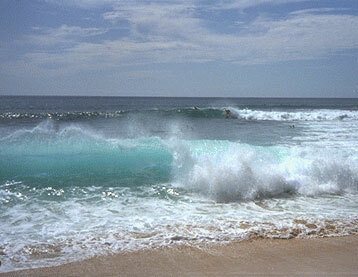 ..the waves at Sunset beach on the north shore. .. a nice secluded spot to relax. ..just one of the many very cool beach houses along the eastern Kailua shore. .. want more pictures? click here.